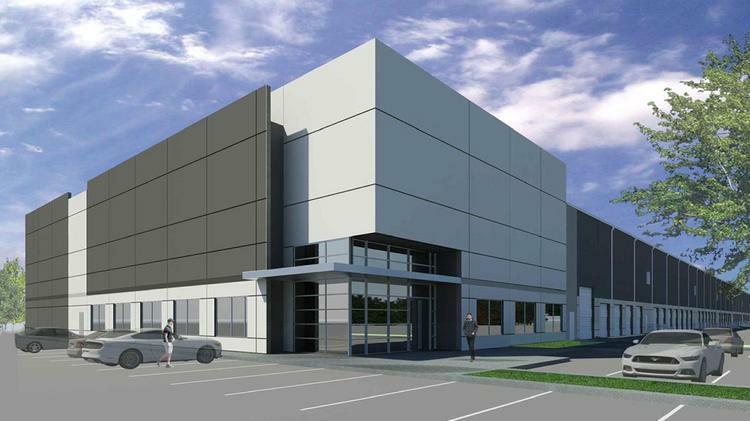 The U.S. branch of Tokyo-based chemical company Kuraray Co. Ltd. signed a huge lease at a brand-new industrial park in Houston, while a local ready-to-assemble furniture company inked a warehouse lease to expand its distribution operations. Both leases were announced June 6. Houston-based Kuraray America Inc. signed a long-term lease for 465,851 square feet in Avera Cos.’ new Bayport Logistics Park. Houston-based Avera announced last month it would develop the industrial complex in Pasadena, and Kuraray is the first tenant. John Littman of Cushman & Wakefield represented Kuraray, and Jason Dillee of Cushman & Wakefield represented the landlord. Kuraray will occupy two build-to-suit facilities — called buildings 2 and 3 — on 30.5 acres. Building 2 is rail-served and will have a 36-foot clear height, while Building 3 will have a 32-foot clear height. When it was announced last month, Bayport Logistics Park was billed as a 143-acre industrial complex just south of Avera’s Bayport Industrial Park, a three-building, 738,610-square-foot project announced in June 2016. Now, Avera is referring to the combined 185 acres as Bayport Logistics Park. Also last year, Kuraray opened its latest chemical plant on 81 acres in Pasadena. Separately, Houston-based Furinno leased 50,400 square feet in Crow Holdings Industrial’s Apex Distribution Center in northwest Houston. David Boyd, Greg Barra and Wes Williams of Boyd Commercial/CORFAC International represented the landlord, and Richard Chen of Richard’s Investments represented the Furinno. Dallas-based Crow Holdings Industrial broke ground on the 24-acre industrial business park in 2014. It includes a former Goya Foods Building that’s about 140,000 square feet plus two newly constructed speculative warehouses spanning another 270,000 square feet. The Furinno lease brings Apex Distribution Center to 86 percent occupancy, according to Boyd Commercial. Furinno is a ready-to-assemble furniture company that was founded in 2010. In addition to Houston, it has locations in Singapore and Malaysia. The new lease will allow the company to consolidate and expand its Houston distribution operations, according to Boyd Commercial.